So, you found out that Laravel Cashier doesn't support Paypal. It's all good, you can build in Paypal payments alongside cashier. The only downside is that Paypal has so many different ways of purchasing products and setting up recurring billing and it can get kind of confusing as to which method you should use. Well, luckily enough you can follow this tutorial step-by-step to add Paypal re-curring payments to your application. * recommended option for live environments. And Click 'Create App'. On the next screen you will be asked to give your app a name. 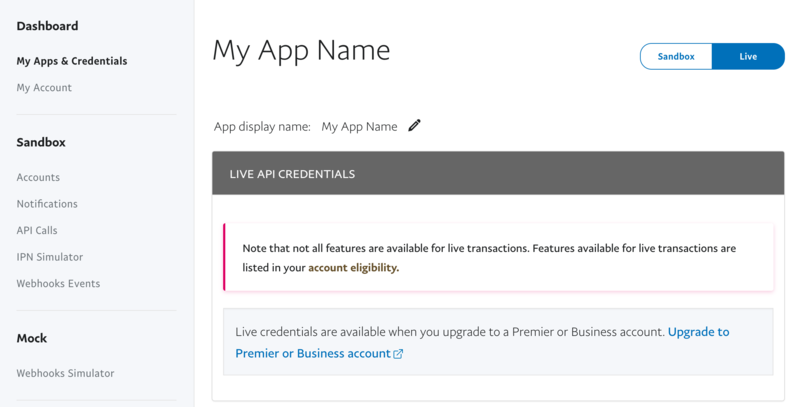 Enter in a name and press 'Create App'. The next page you will find your Client ID and your Secret key. You will need to upgrade to a Premier or Business Account, by clicking the button. You can still test in Sandbox mode, but make sure you do this before going live. 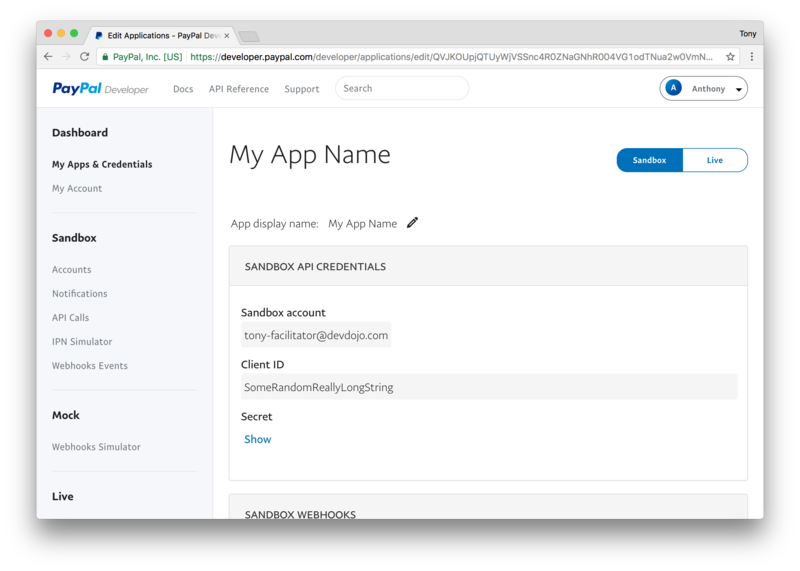 Now that you have your paypal crednetials you will need to add your them to your .env file. There are quite a few things going on above which we'll disect a little bit. In the constructor we are detecting whether we are in sandbox mode or live mode and then setting the correct credentials. We also have a variable called $this->apiContext, this is the variable that we'll be using throughout the class to pass our credentials to Paypal. Next, the important one we want to look at is our create_plan() function. This is the function that creates our plan for us. You may want to change some of the data from this plan above (example, we have set a monthly price of $9, and added a name and description). You will want to swap out the informantion for your app. You will also want to swap out your Redirect URL (https://website.dev/subscribe/paypal/return), with your website. Now, if we hit that route by visiting the url website.dev/create_paypal_plan. You will see an output with the new Plan ID if everything went well. Note: You will probably want to run this function when you are in live mode as well so that way you can create a similar Plan in Live Mode. In the rest of the examples in this tutorial we are going to remove the public function create_plan() from the PaypalController since we only need to use it one. Note from the code above we have now added a $this->plan_id variable to the constructor that is loaded from our environment file based on whether it is in live mode or sandbox mode. 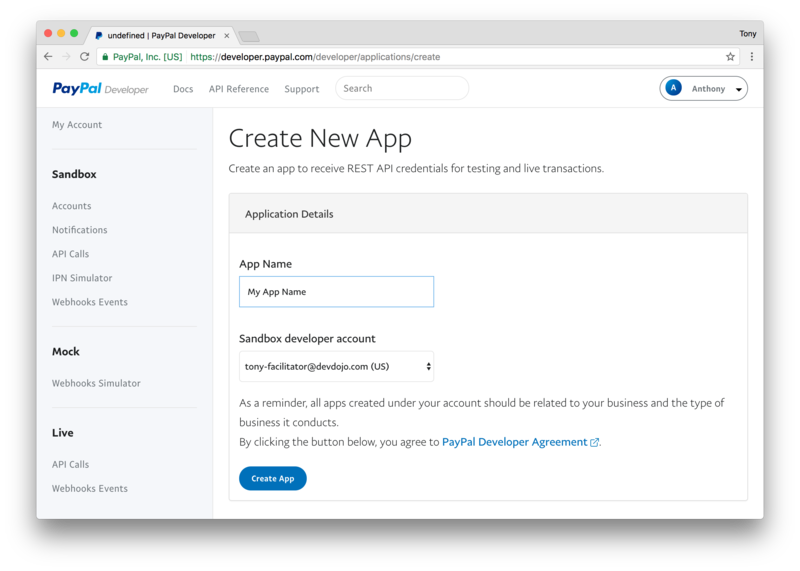 In the paypalRedirect() function we create a new agreement with the plan ID and then we redirect the user to the Paypal login page. Which gets the logged in user, sets their role to 'subscriber' sets a 'paypal' to true and stores the 'paypal_agreement_id'. You can decide what to do at this point to make your user a subscriber in your app. 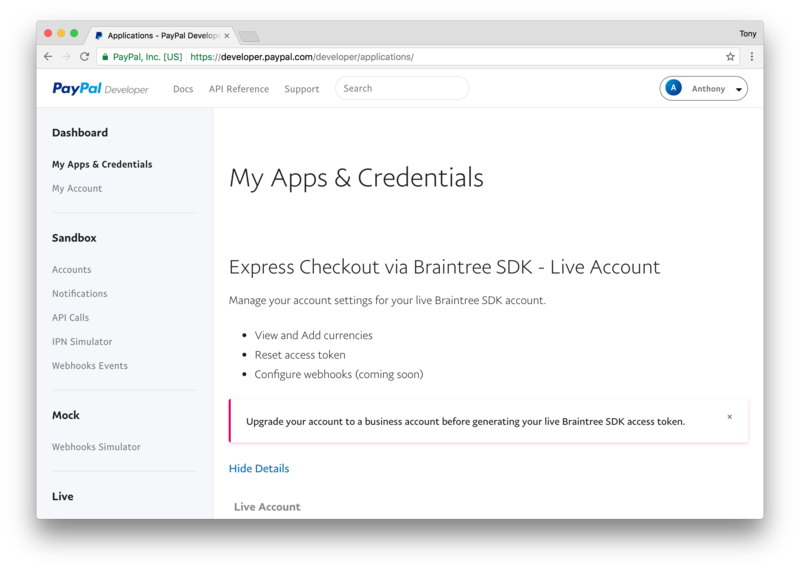 And now users can subscribe using the traditional Stripe checkout or they can choose to use Paypal.